Mohammadi, Z., Alijanianzadeh, M., Khalilzadeh, R., Khodadadi, S. (2018). Development of Simple and Fast Method for Preparation and Purification of Monopegylated Recombinant Human Granulocyte Colony-stimulating Factor (rhG-CSF, Filgrastim) with High Efficiency. Biomacromolecular Journal, 4(2), 65-77. Zeinab Mohammadi; Mahdi Alijanianzadeh; Rassoul Khalilzadeh; Sirus Khodadadi. "Development of Simple and Fast Method for Preparation and Purification of Monopegylated Recombinant Human Granulocyte Colony-stimulating Factor (rhG-CSF, Filgrastim) with High Efficiency". Biomacromolecular Journal, 4, 2, 2018, 65-77. Mohammadi, Z., Alijanianzadeh, M., Khalilzadeh, R., Khodadadi, S. (2018). 'Development of Simple and Fast Method for Preparation and Purification of Monopegylated Recombinant Human Granulocyte Colony-stimulating Factor (rhG-CSF, Filgrastim) with High Efficiency', Biomacromolecular Journal, 4(2), pp. 65-77. 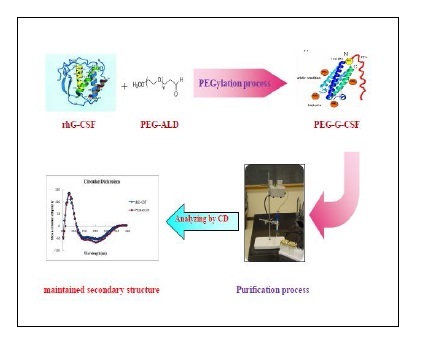 Mohammadi, Z., Alijanianzadeh, M., Khalilzadeh, R., Khodadadi, S. Development of Simple and Fast Method for Preparation and Purification of Monopegylated Recombinant Human Granulocyte Colony-stimulating Factor (rhG-CSF, Filgrastim) with High Efficiency. 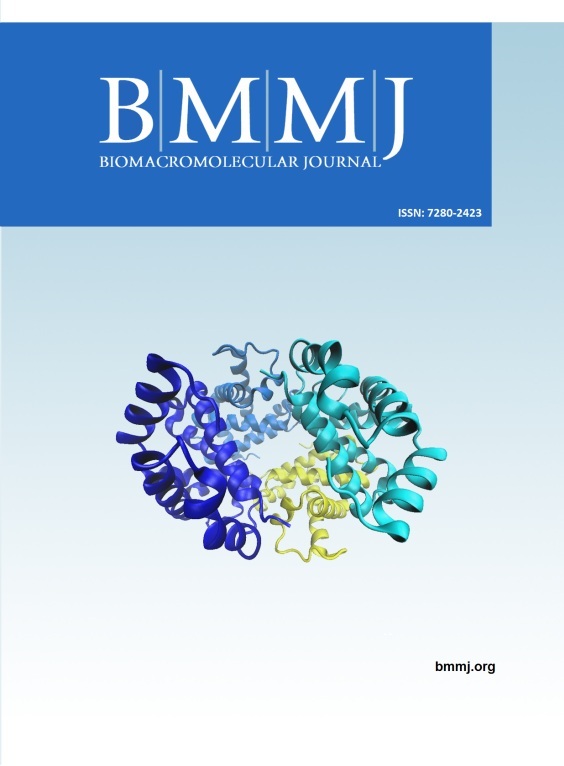 Biomacromolecular Journal, 2018; 4(2): 65-77. Background: PEGylation is a valuable strategy for enhancing the pharmacokinetic properties of recombinant methionyl human granulocyte colony-stimulating factor (rh-Met-G-CSF, filgrastim) which is used to treat chemotrapy induced neutropenia. So development of an effective and inexpensive method to achieve monoPEGylated G-CSF form is required. Here it is focused on the PEGylation reaction engineering and the subsequent purification processes that should be optimized to minimize the costs inherent to the additional steps. Methods: In this study methoxy polyethylene glycol propionaldehydes (mPEG-ALD) 20 kDa MW was utilized to produce monoPEGylated rhG-CSF. PEGylation reaction was carried out at 4°C and pH 4.5 in the presence of sodium cyanoborohydride and three mPEG-ALD: protein molar ratios (3:1, 5:1 and 10:1). The PEGylation reaction was monitored with SDS-PAGE. Subsequently, isolation of the monoPEGylated form was achieved by cation exchange chromatography (CEC) method. The PEG attachment site was assessed by FTIR and structural characteristics of purified products (unPEGylated and PEGylated rhG-CSF) were investigated by CD and intrinsic fluorescence techniques. Results: The results showed optimal yield of monoPEGylated protein (60%). Also achieved a purity around of 99% for pegylated rhG-CSF. Assay by FTIR revealed that PEGylation correctly was performed in N-terminus of rhG-CSF. Structural analysis by CD and intrinsic fluorescence indicated that rhG-CSF maintained secondary structure after modification by PEGylation. Conclusion: Overall, this study has developed an experimental method to purify monoPEGylated rhG-CSF which is simple, fast, and low cost method with high efficiency.